1) Lint Paranoia: One thing that annoys the living breath out of me is the presence of lint on clothes and especially on/in hair. With the texture of my hair I have noticed that it’s extremely easy for things to get caught in it. I remember walking through a ball of gnats and a few were stuck in my hair. How disgusting right? I have to avoid clothing that is wooly and towels and blankets because I would be walking around with little white specks in my hair. I dread winter because scarves are my passion. 3) Scarf Issues: Of course we all know that whether or not one is natural, it’s typical for black women to wear a scarf to bed, it protects the hair, keeps moisture in, keeps hair smooth and keeps the style intact. For styles like ponytails and high buns and puffs, I obviously need to use gel to sleek down that hair. For the gel to mould and hold in place I have to set it by wearing a scarf for a while. sometimes I do my hair in the morning for an event I am attending at night so I just leave my scarf on. I know it looks bad. It gives the impression that I still haven’t showered yet. 4) Product Selection: Is it me or are there just too many products that claim to do the same thing, seem to have the same ingredients and happen to be priced the same? Everytime I have to restock, I get a massive headache trying to figure out what I want to try next! I tend to get tired and go for my ride or die, Shea Moisture coconut and hibiscus products. 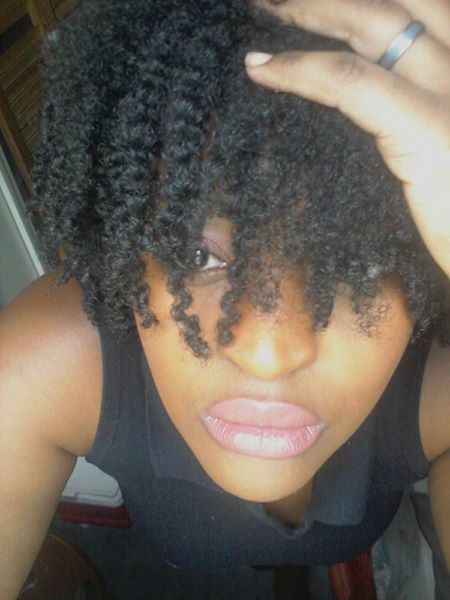 6) Time: It’s now the norm for me to have time slots for my hair. I have to factor in time to retwist each night and for wash days and styling. This hair demand a lot of my attention y’all. 7) Selfie Struggle: I know I’m not the only person who takes about 15 selfies and still can’t find one worth sharing! The reflection in the mirror if fierce but that camera just won’t let you be great!!! 8) Hair tie accessory: What’s the point of bracelets anymore? I always have a scrunchy or two on my wrist. They have become a permanent accessory of mine. Honestly I don’t notice them there anymore. I’m that chick who dresses up, gets glam and loses fashion points because of that one little mishap!